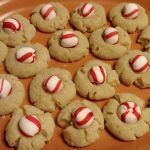 These buttery and chewy nickel free peppermint eyed cookies add novelty and intrigue to any social gathering. They are also easy and fun to make with the whole family. Growing up my little brother and I would make these cookies every December with Hershey’s kisses in the middle instead of peppermints. Doubling the recipe, we would each have our own batch of cookie dough and cookie sheets. My older sister would act as the “unbiased” referee to see who could remove the individual wrapping papers from each kiss and place them in all of the cookie dough balls before the other! When diagnosed with my systemic nickel allergy, I originally stopped engaging in many of my favorite pastimes. It took me a couple years to focus on what I could eat instead of what foods I need to avoid. Overtime, I’ve learned the importance of adapting my favorite recipes and traditions so I can still enjoy them. I work to ensure my food allergy doesn’t inhibit my ability to enjoy life. Baking the hard peppermint candies slightly softens them and adds a sweet minty flavor. I use Bob’s Sweet Stripes Soft Peppermint candies, which includes sugar, peppermint oil, and the food coloring Red 40 and, Red 40 lake in their ingredients. You can find them at most grocery stores and online. I purchased mine a WinCo Foods. 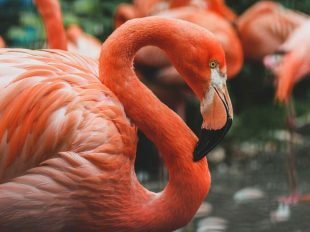 I’ve heard some on the low-nickel diet say they cannot tolerate the food coloring/additive red 40, but I personally haven’t had any issues. Things to note: this recipe calls for melted butter. I tend use the microwave to melt my butter. My favorite butter is Tillamook butter, because they wrap it in paper (I believe it’s parchment paper) instead of aluminum foil. Here’s a great post about nut free vanilla extract options. Lastly since I don’t have nickel-free cookie sheets, I use parchment paper to create a barrier between the cookies and the stainless steel cookie sheets. 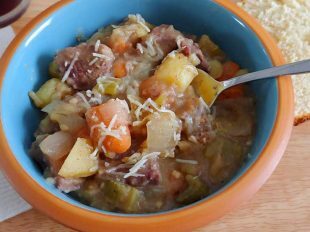 If you love this recipe, please give it 5 stars below. Need a nickel free cookie recipe for the holiday season? 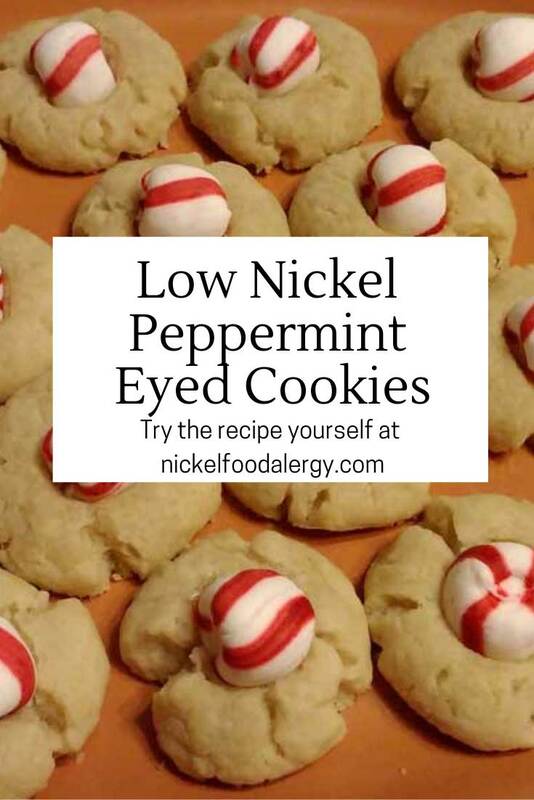 Why not try these sweet and buttery peppermint eyed cookies! Preheat the oven the 400 degrees. Place parchment paper on two cookie sheets, and set aside. In a large mixing bowl add the sugar and melted butter. Mix the sugar and egg in a large mixing bowl. Next stir in the egg, vanilla and white flour until all the ingredients are thoroughly combined. 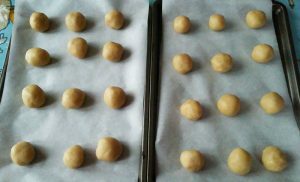 Shape the cookie dough into small balls and place them on the parchment paper, so there's sufficient space between them. Lastly unwrap the individually wrapped hard peppermint candies and push one of them down into each of the cookie dough balls. Bake the cookies for 8-12 minutes in the oven or until the cookie dough begins to brown. 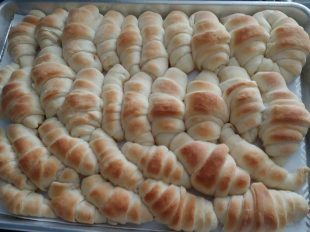 Let them cool for 5-10 minutes and enjoy! 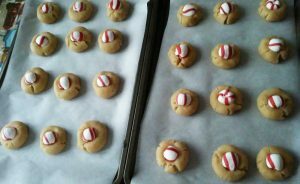 Melt the butter and roll the cookie dough in balls prior to adding the individual peppermint candies. I use Gold Medal unbleached all purpose white flour. 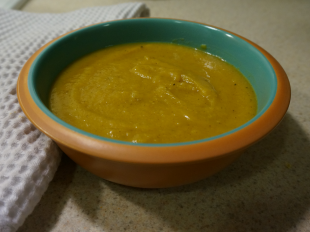 I made this recipe this year to include with some holiday gifts and everyone loved them! 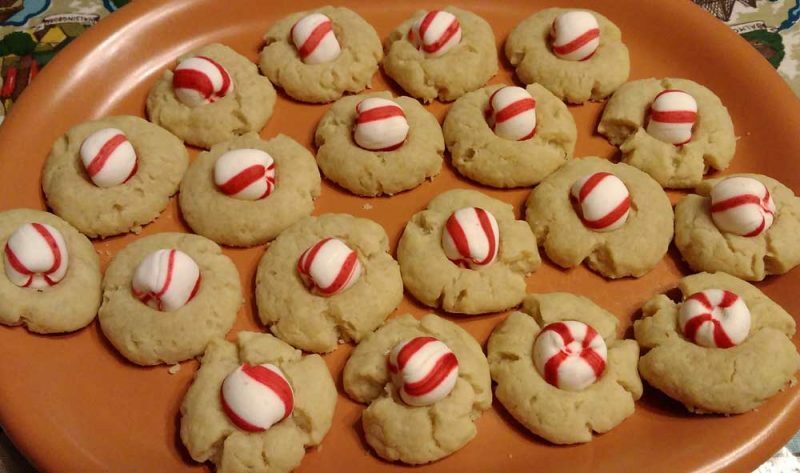 I wasn’t able to find any of the Bob’s Sweet Stripes candies, so instead I broke up small candy canes and put a few pieces of candy cane on the top of each cookie and they were still delicious. Most of the people I gifted them to have asked for the recipe! Thanks so much for sharing and for all of the other tips! That’s fantastic! 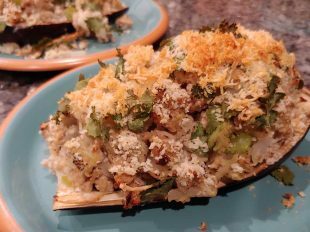 Thanks for trying and sharing the recipe! 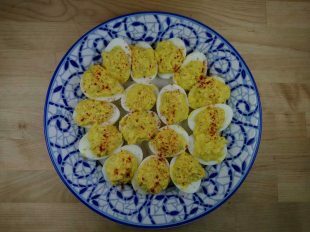 It brings me great joy knowing that others are enjoying my recipes, and even putting their own spin on them! I love peppermint and will have to try using candy canes this year.